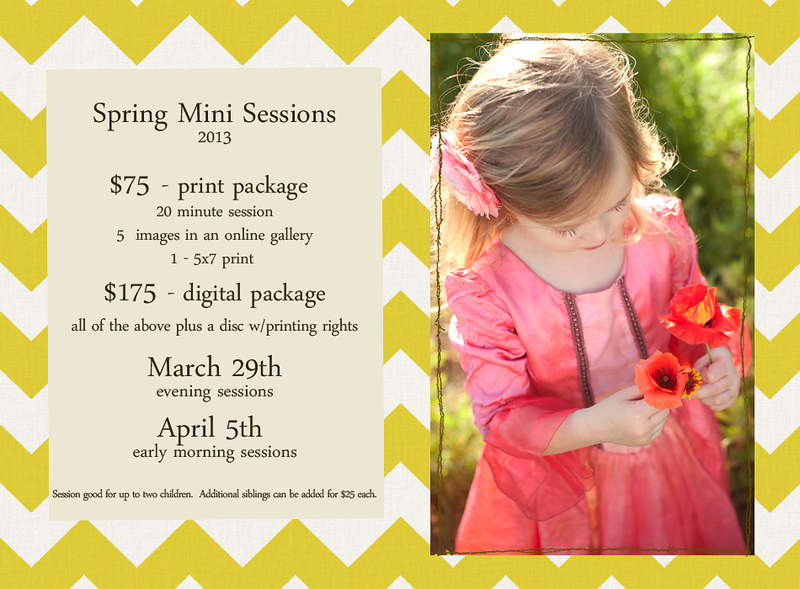 Only a few spaces available for mini sessions this spring. I absolutely adore this time of year! Turning 5 seemed like such a big milestone this year. 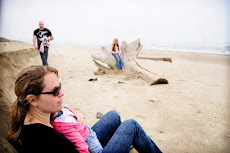 My baby is no longer my baby and there is a little sadness that came along with that realization this year. Of course, I keep telling her that she is and will always be my baby. 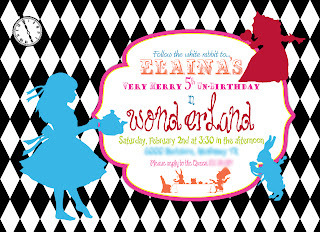 Last year at her preschool they did a small production of Alice in Wonderland and she loved it! 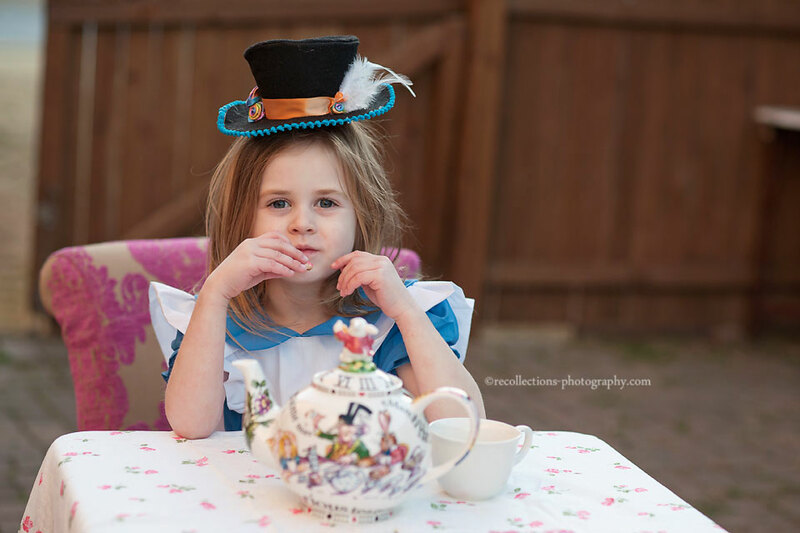 Her sister had a traditional tea party when she turned 5 so a mad hatter tea party seemed like a great twist to add to B's 5th birthday. Like all of my parties, this was full of DIY projects. 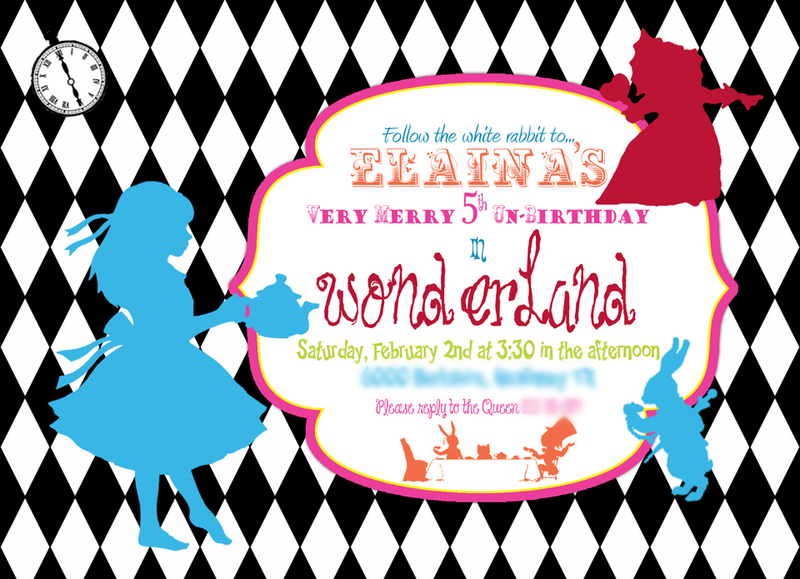 I designed the invitations in PhotoShop and loved them so much that I put a framed one out at her party. It sat along with some "eat me" cookies in an antique bowl that my mom recently passed down to me and a small drink me bottle purchased at Hobby Lobby when their glass was on sale. I think my favorite part of this little set up, though, is the white rabbits that I made to send home with each of the girls. 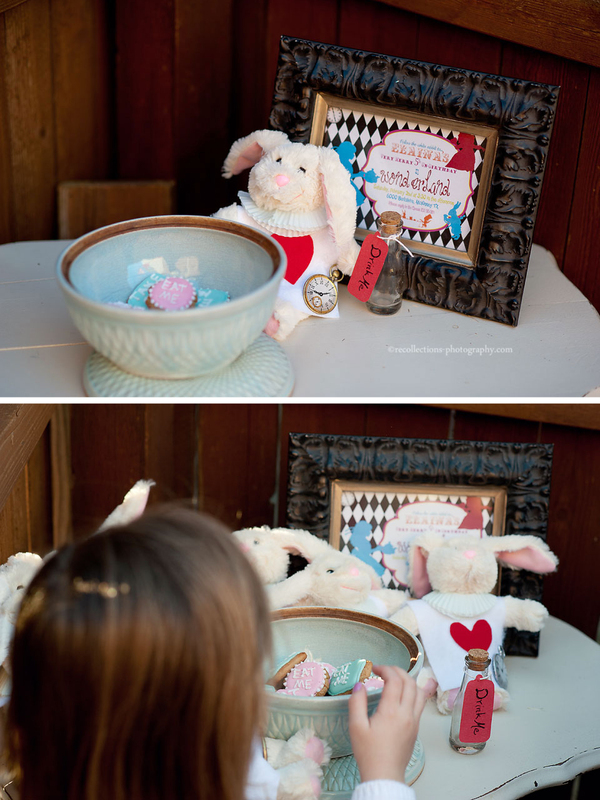 I found the little bunnies at the dollar store and then made little tunics for each one using white and red felt. I searched for affordable pocket watches and was thrilled when I discovered these three dimensional scrapbook stickers at Hobby Lobby. The collar is simply made out of cupcake liners. Aren't they adorable? Starting early helped a lot this year. I found some black tricorn hats on clearance at a party store after Halloween. 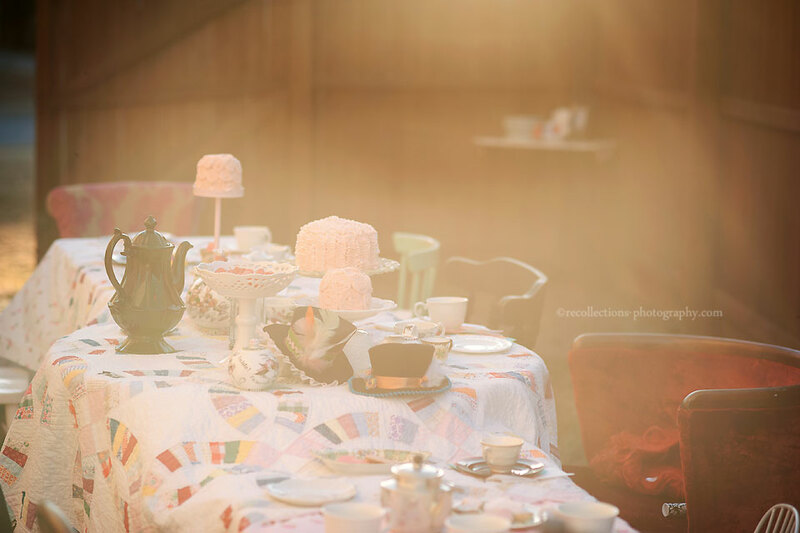 With a little work, a lot of patience, and some hot glue and ribbon they turned into adorable tea party hats for the girls.I will try and post a before and after tutorial soon. I found some wonderful cake tutorials online and was pleased with how they turned out, especially for a first try. 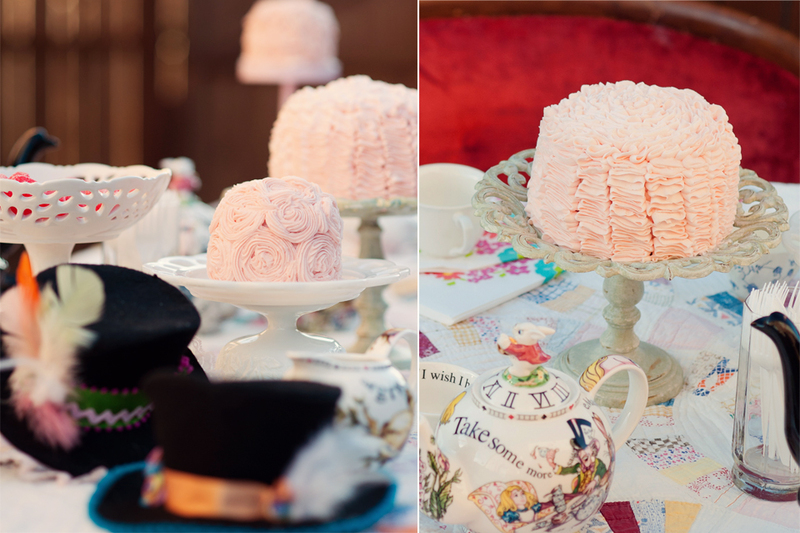 The rose cake was a little easier to master than the ruffle cake, but I loved them both! My daughter's favorite game of the day was tossing sugar cubes at tea cups to see how many each team could get in the cups. 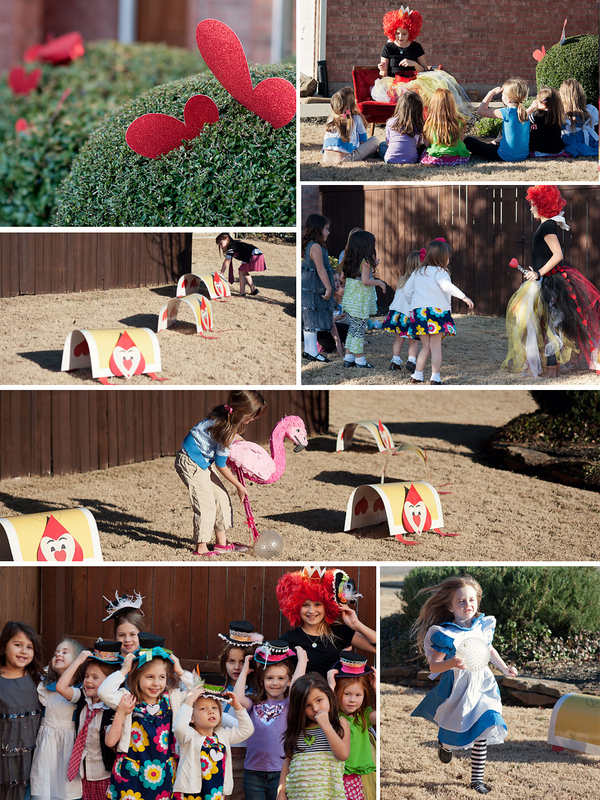 My favorite activities, though, were all the ones in the Queen of Hearts court. I used poster board to make card guardsmen. They were used as decoration and to play croquet. 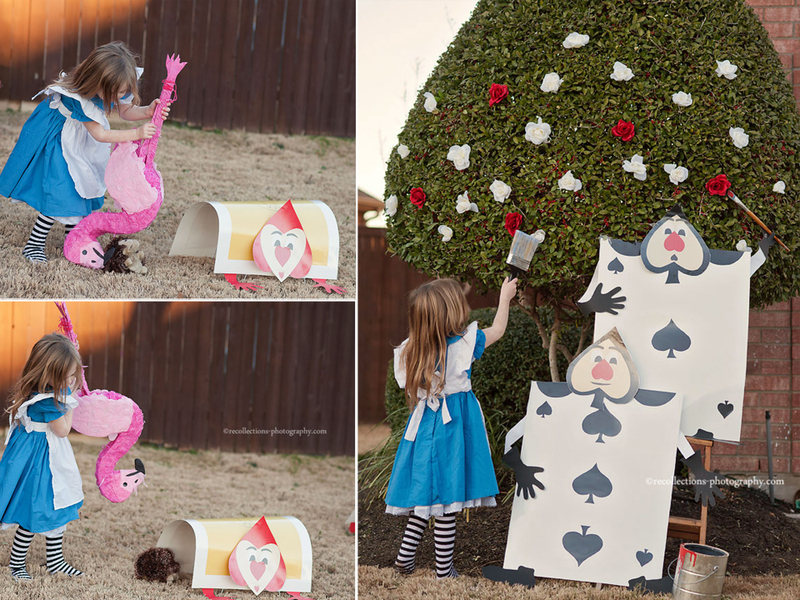 My oldest daughter played the Queen of Hearts and led the games. She helped the girls make heart foam necklaces, led them in a game of "the queen" says instead of Simon Says, and helped them play croquet with a spiky ball and a pinata flamingo. I used dowels poked into the body to make the legs sturdy enough to hold. It all turned out so cute and was a lot of fun. 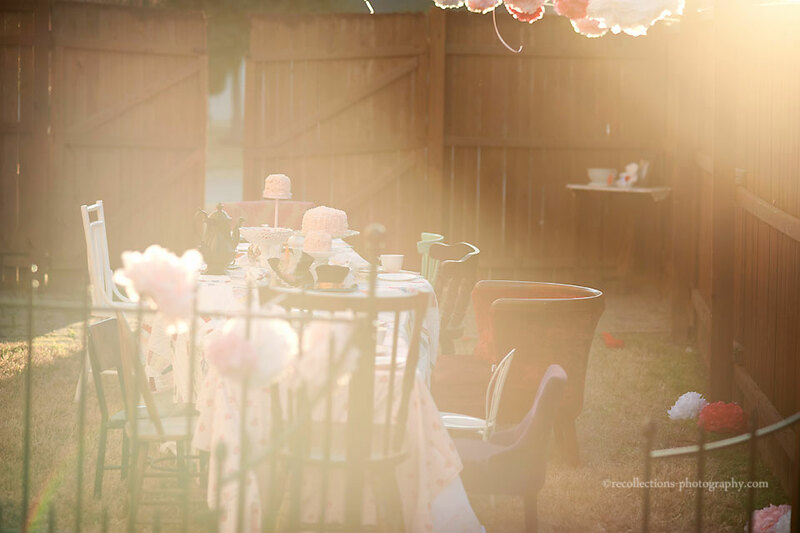 It turned out to be one of my favorite parties ever and I am still so thankful to have had such a gorgeous day to celebrate on. It is always a risk planning on outdoor party in Texas at the end of January, but this time it paid off! It was just warm enough and the sun filtering through the gate was perfection!